When hunger strikes, no snack hits the spot precisely like a good ol’ bag of All-American beef jerky. Boasting the perfect combination of saltiness, chewiness, and meatiness, this is a snack that will never go out of fashion. 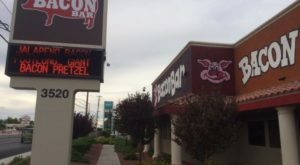 Well, it just so happens that Nevada is home to an actual beef jerky store where you can try out hundreds upon hundreds of flavors. 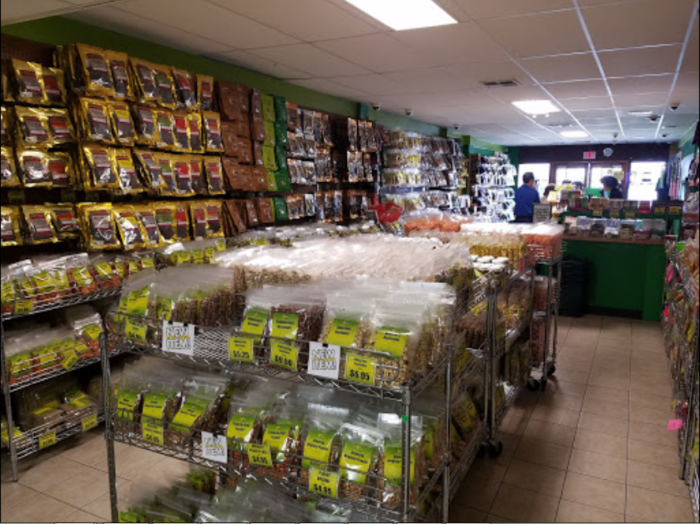 Whether you’re into wacky flavors or traditional types of jerky, this store is bound to have something that calls to you. 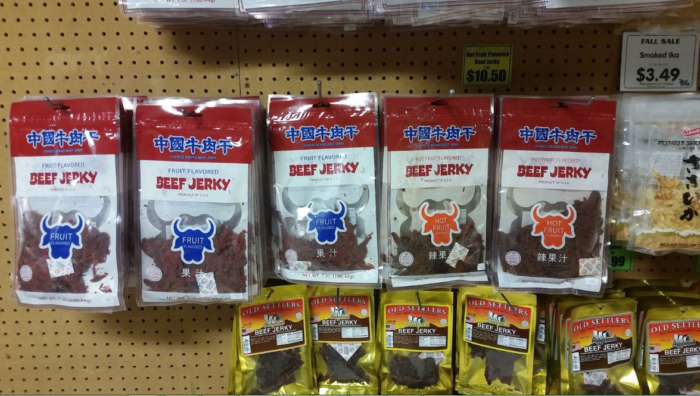 Nevada is full of odd shops and such, but The Beef Jerky Store in Las Vegas may just take the cake. 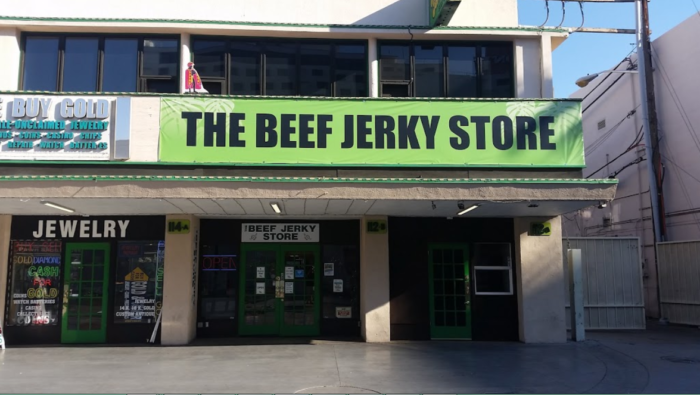 Devoted to selling all sorts of varieties of America's favorite snack, this place is a paradise for jerky enthusiasts. Walking in the front door, you'll be greeted by the sight of hundreds of bags of jerky hanging on the walls. It seems like there isn't a single space in the store that isn't taken up by this savory snack! 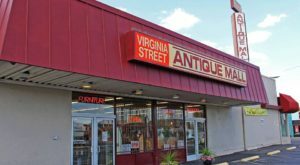 Their selection is humongous and you'll feel the urge to try them all—if your wallet will let you. 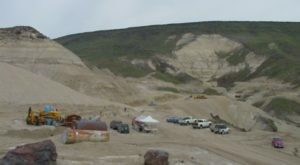 There are all sorts of brands to choose from including Cactus Jacks, Old Trapper, Old Settlers, Tillamook, and California Jerky...just to name a few. The types of flavors are just as abundant. 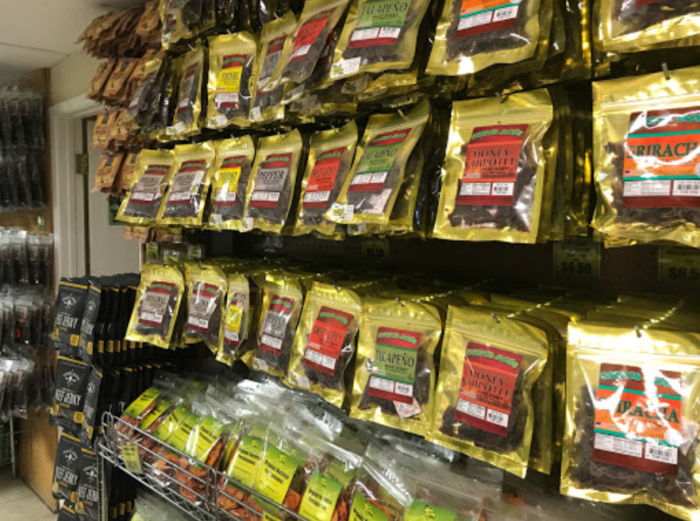 There's a jerky here for everyone including Pepper, Teriyaki, Honey Chipotle, Jalapeno, and so much more. They even sell different types of meat jerky. If turkey jerky is your thing, you've come to the right place. 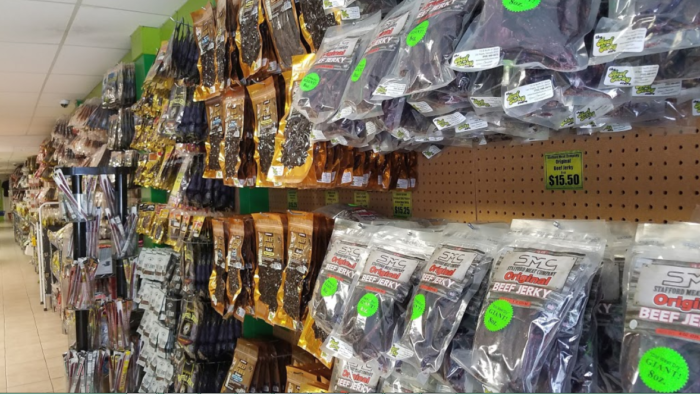 They also offer "exotic jerky" made out of buffalo, alligator, venison, and kangaroo, so why not try something new and different? 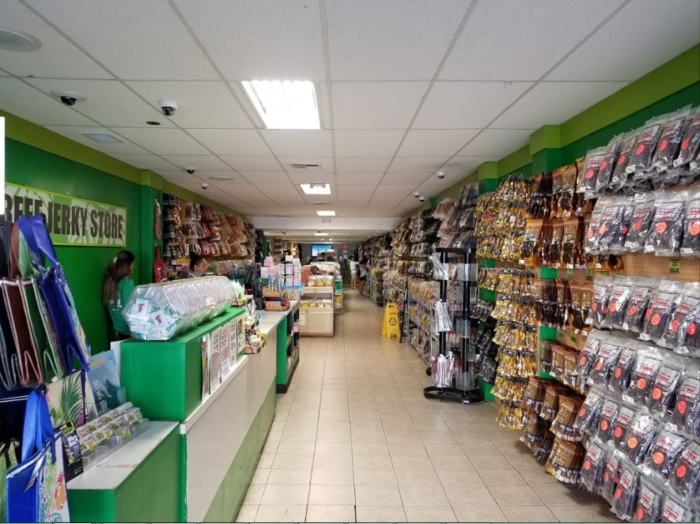 Along with their extensive assortment of jerky, The Beef Jerky Store also sells other unique food items such as Asian snacks, cookies, chips, and sauces. 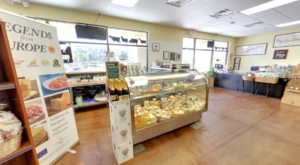 Simply put, this place is a snacker's paradise so be sure to visit and stock up! 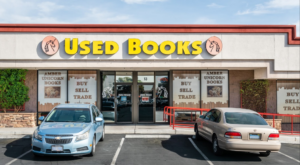 You'll find it at 112 N 3rd St, Las Vegas, NV 89101. 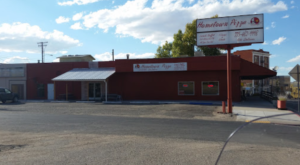 What do you think of this beef jerky store? 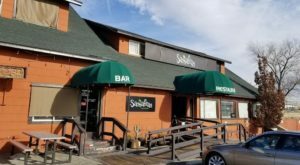 Will you be stopping here anytime soon? 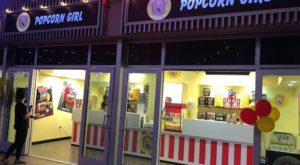 For more unique stores like this one, be sure to check out our list of 10 Weird And Wacky Shops In Nevada.